I LOVE tea and I mean LOVE. I have a tea store in my cupboard and would probably die if I would ever have to give it up. I like all types black, red or green. I have even tried some yellow tea. So when I stumbled onto this mug I HAD to have it. You can get in the Indigo store or on their website. He knew what he was talking about:). And just a quick reminder, if you comment here or here you can win a copy of one of my books or of my new release Tangled Indulgence. 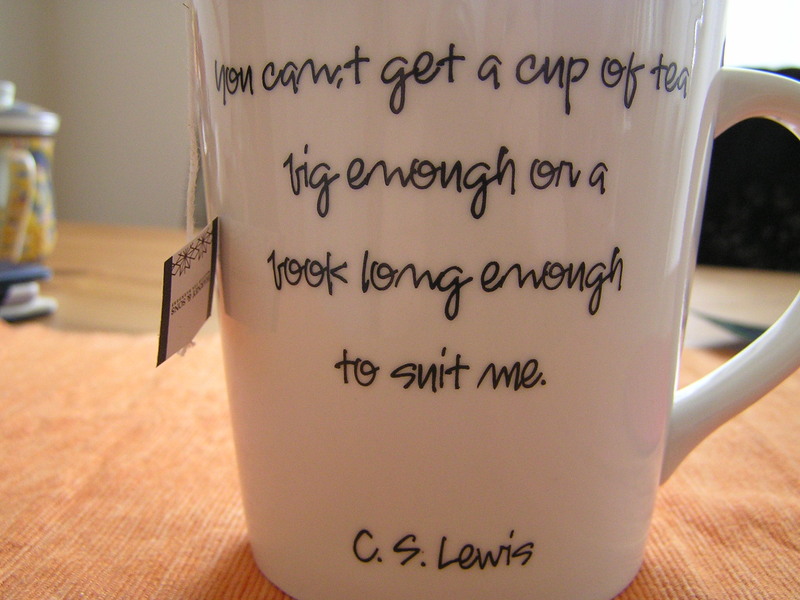 Posted on March 6, 2013, in blog and tagged c s lewis, mug, quote, tea. Bookmark the permalink. 2 Comments.